STS9 – Sound Tribe Sector 9 are returning for their annual showcase at Red Rocks Amphitheater on Friday 6th September 2019! Get ready to be blown away by the talented musicians of STS9 as they bring their fusion of jam with moments of pure rock and chill out along with their renowned psychedelic displays! 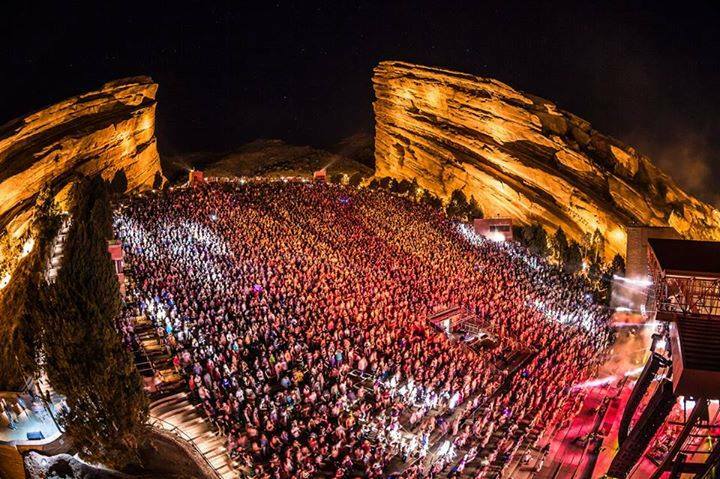 Seeing STS9 live in this kind of venue is truly an experience as the lights hit the Red Rocks and transports you straight into the music.. you'll be left wanting more! Tickets are on sale NOW – don't miss Colorado's favorites STS9!! Sound Tribe Sector Nine (also known as STS9) is an instrumental electronic rock band that was formed in Atlanta, Georgia, in 1998. Marrying typical rock instrumentation with electronics, and with a passion for group improvisation, the band are known for their incredible live performances and extensive touring. They have ranked among Pollstar Magazine’s list of top-grossing touring acts and headline several festivals every year, having notably performed at Bonnaroo, Wakarusa, Electric Forest, and Suwanee Hulaween to name a few. To date, the band has released 11 studio albums, two remix albums, and multiple live DVDs on their independent label 1320 Records! "If there is something Sound Tribe Sector 9 (STS9) does best, it’s taking a situation and not only making the best of it but going above and beyond by providing the audience with a completely unprecedented experience. It fueled the excitement for the following two-night run at Red Rocks." GET READY TO BE BLOWN AWAY BY STS9 LIVE AT RED ROCKS 2019!